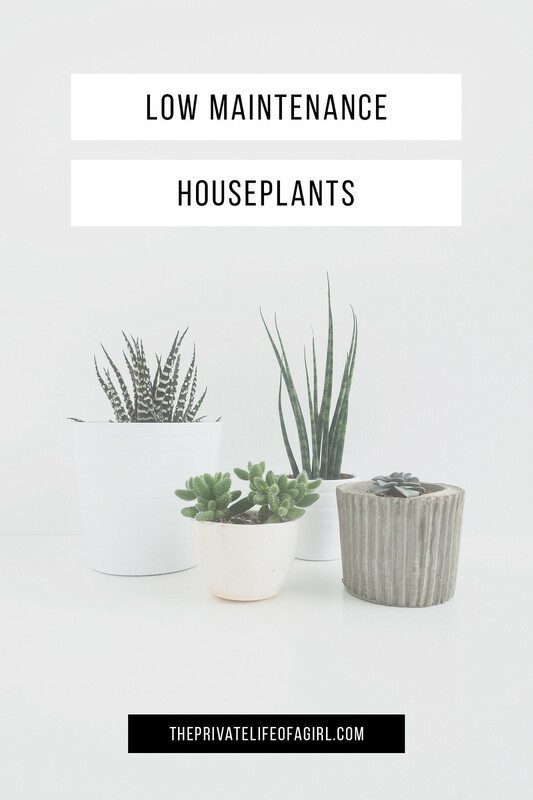 There are plenty of health benefits to owning houseplants and they are a beautiful way to decorate especially in a minimalist home. They provide natural colour, life, and vibrancy while boosting your mood, purifying the air, and influencing your wellbeing. 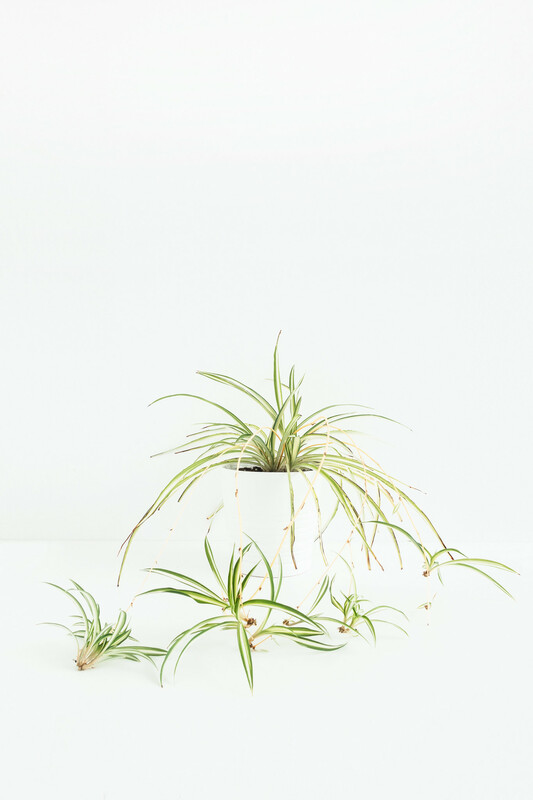 The best kind of plants are low maintenance; easy to keep and beautiful to look at, opting for these fuss-free houseplants mean you can repeat the benefits of plant life with very little effort. Marimo also known as Lake balls, Massimo or Moss balls, are a species of filamentous green algae found in lakes of the northern hemisphere. As the algae grows it forms free-floating balls with a velvet appearance. These are the easiest plants in the world to keep. 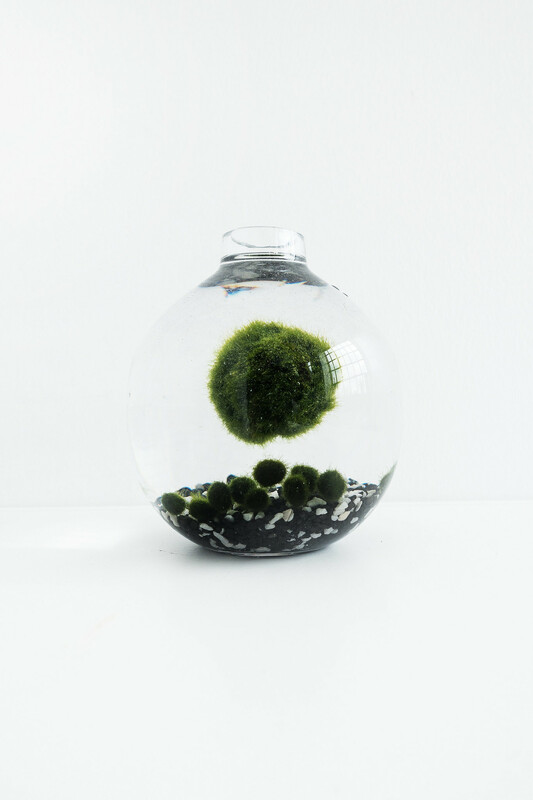 All you need is a vessel with water to submerge the marimo in and you’re set. Any gravel, shells, or additional decoration is just for show; these moss balls need only water (which you should refresh every few weeks or so) and they’ll happily thrive anywhere at all. They’re an unusual and unique choice of plant and very low maintenance. If you enjoy watching your plants change, a spider plant is a good choice. It’s easy to grow and the long narrow leaves frequently grow tiny white flowers and “pups” - new baby plants you can clip off and grow a new plant from. These plants look beautiful perched on windowsills and bookcases or planted in hanging baskets. They require bright to moderate sunlight, average room temperature and humidity. During growth they require occasional watering and a little fertilisation of the soil during spring and summer. Easy to keep and beautiful to look at. A tropical plant native to Mexico and the West Indies; it’s an ornamental plant with straight stems and beautiful leaves featuring dark green borders with patches, spots, and flecks of light green. A spot with medium sunlight and average temperatures is best for these plants and they prefer dry soil, requiring watering twice a week. With very little care it grows constantly, providing attractive indoor foliage. This is an evergreen perennial plant with dense stiff leaves that grow vertically like shards. 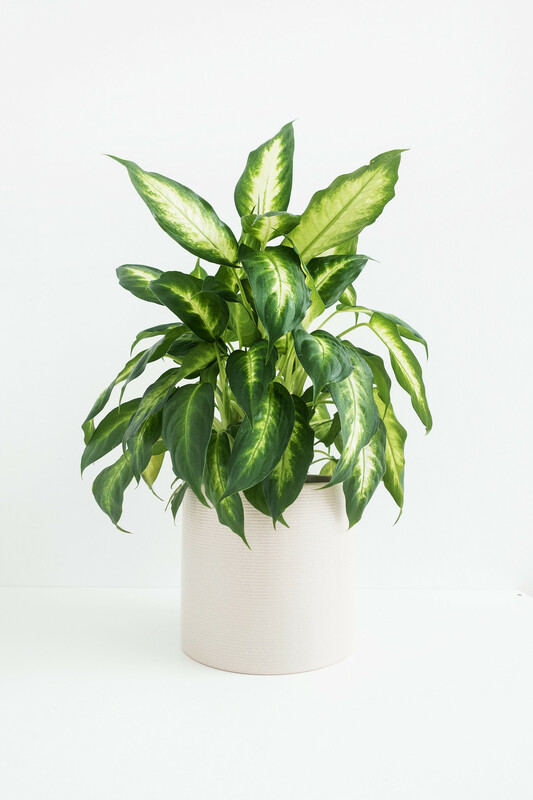 It’s a popular houseplant because it tolerates low light, irregular watering, and general neglect. 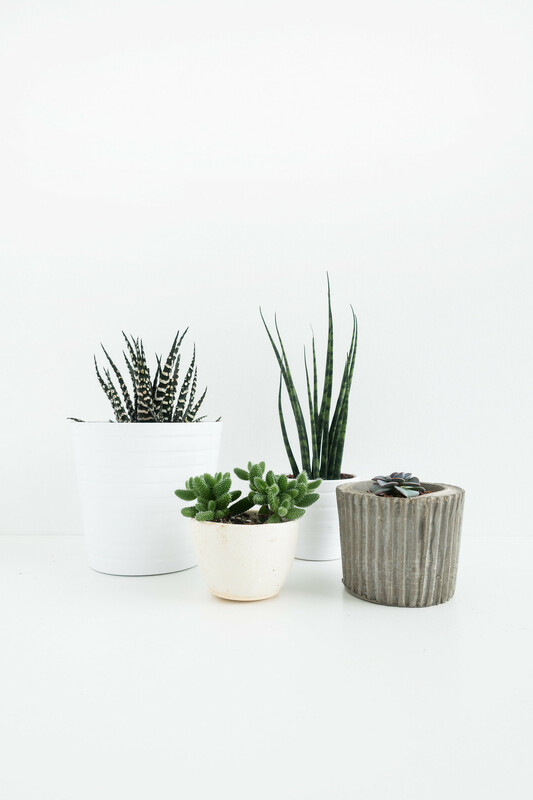 Having these plants at home can purify the air removing toxins such as formaldehyde, benzene, and carbon dioxide. Place them somewhere with indirect sunlight and don’t water them too much. 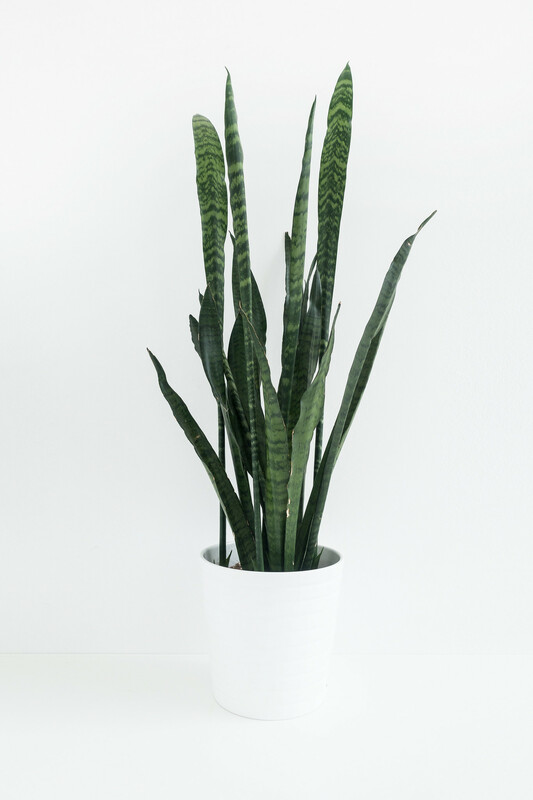 In the right environment Snake Plants can grow pretty big, if you don’t have the space you can divide the plant to prevent it becoming unmanageable. 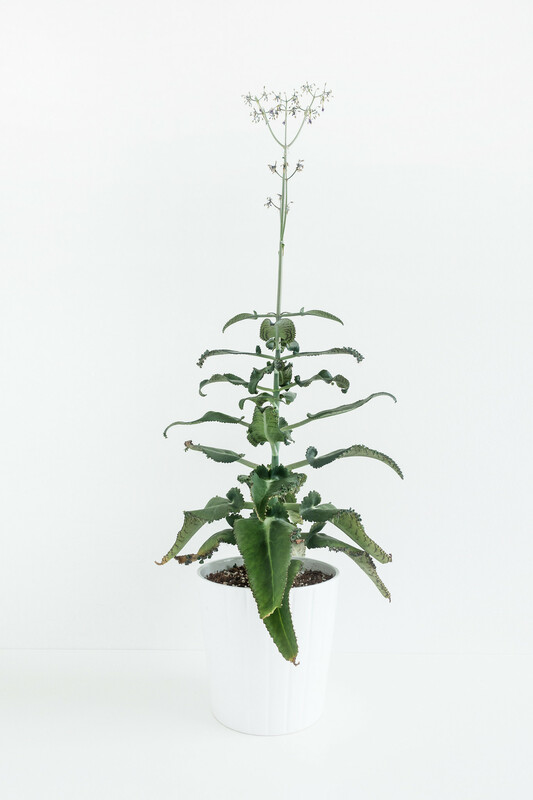 Not only does is this plant low maintenance, it looks pretty and has medicinal properties. The plant has thick, fleshy serrated leaves with small white teeth; they come in several varieties with different patterns and colours. 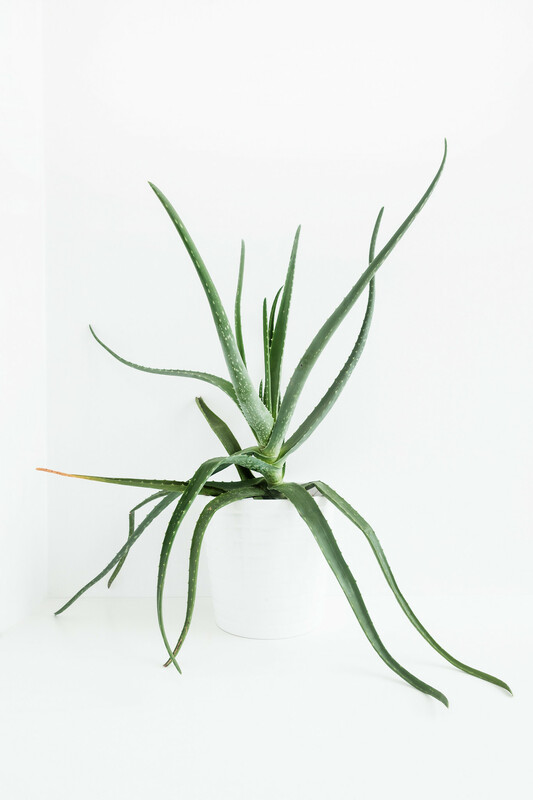 Aloe vera are hardy plants resistant to pests, low water-use, and the cold. Ideal for growing indoors they enjoy well-drained, sandy potting soil and bright, sunny conditions. Just like the spider plant, the aloe vera can become overcrowded with pups which need to be repotted. More commonly known as devil’s backbone, mother-of-thousands, alligator plant, or Mexican hat plant. This is a succulent plant native to Madagascar growing up to 3 feet tall with a green and blotched purple appearance. The leaves have bulbiliferous spurs, which bear plantlets that may form roots. As a succulent, the ‘devil’s backbone’ is incredibly hardy and can survive prolonged periods of neglect with little or no water. With increased temperatures and watering, it will happily (and quickly) grow to its maximum size.